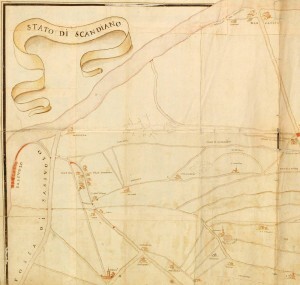 Territory of Magreta di Formigine near Modena. 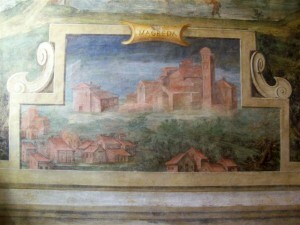 Magreda then Magreta is fraction of Formigine, in the province of Modena. Brief history of our territory, "agricultural". The territory has always been inhabited by man thanks to the fertility of the Earth and the abundant presence of water. This is confirmed by the historical artifacts of the "terramare", heaps of loam and dark that contained the remnants of man lived in prehistoric times, the "terramare" ". Land with remarkable properties fertilizers. Magreta originates from "Campis Macris”, name used by Livy, already in the 3rd century b.c.. to indicate the site. Already in 200 b.c.. When Emilia was colonized by the Romans "Magreda" acquired particular prominence for agriculture, animal husbandry and production of ceramic dishware. The sheep that grazed in fields that were among the most prized M cattle market was among the most important of those times. The origins of the Castle and the town date back to the 9th century and the name becomes first in "Magreda" and then in the final "Magreta". This location was originally the family of Da Magreda, that gave rise to the House of The Rose or from Sassuolo, Star of local politics until the 15th century. 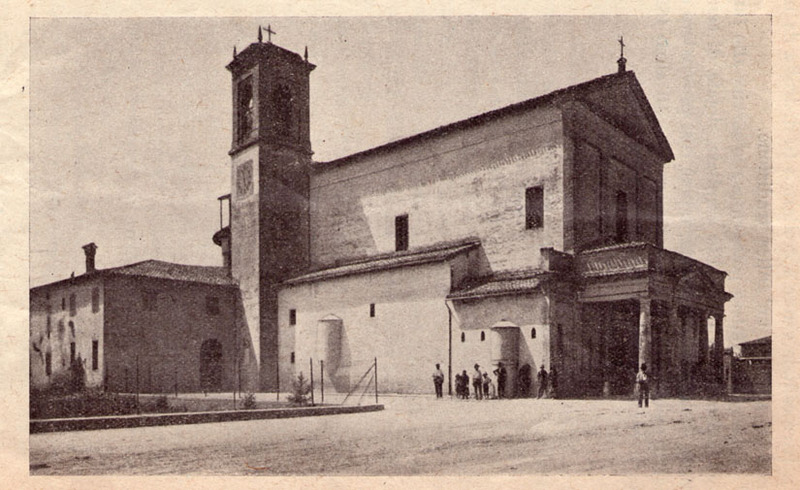 Starting in the 12th century, relations between the towns of Modena and Reggio Emilia became increasingly bitter largely because of contention over the use of the waters of the Secchia, until, in 1201, Modena's troops were defeated at the bridge of Sanguineto, the Chamberlain. 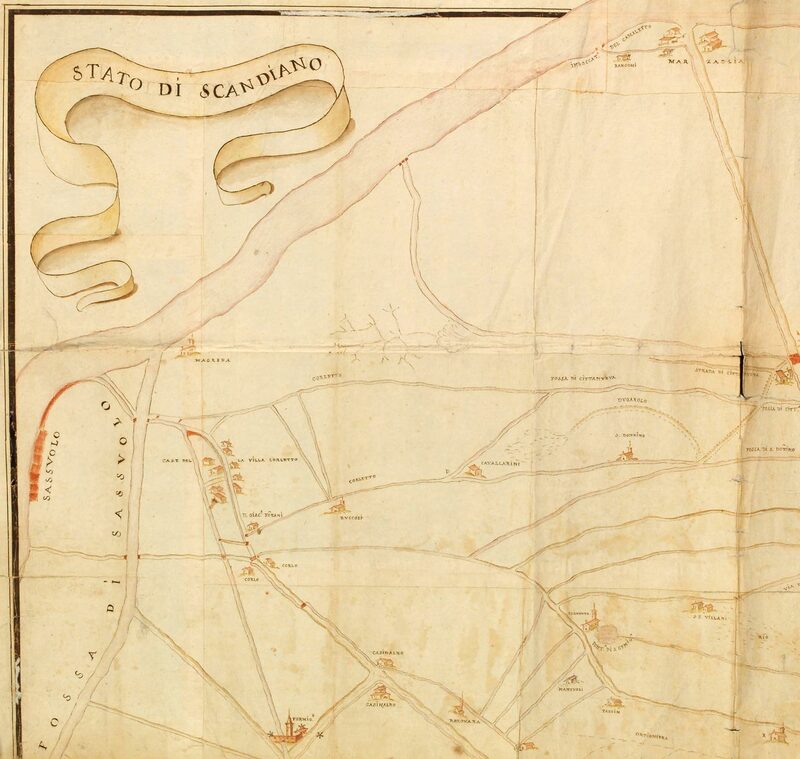 After this battle, the municipality of Modena decided to strengthen the borders towards the cheese by building several fortresses and strengthening existing ones, including the ancient castrum of Magreta. I Da Magreda held the Castle until 1358 , When passed to Marquis Nicolò III d'Este, who gave it in 1434 his daughter Margherita, wife of Galasso Pio di Carpi. The territory of ’ balsamic vinegar, the 14th century a.d.. with a fresco preserved in ……. In 1497 Duke Ercole gave the investiture of the castle to noble modenese Giordano Pincetti. From 1500 the villa and the castle of Magreta were included in the jurisdiction of the Pious, that they exchanged Cannon with Sassuolo and other appurtenances. Napoleonic French troops passing in 1796, the 21 June, they abandoned many robberies. Throughout the Napoleonic period the territory was at the center of important events and administration took place in accordance with the rules of the Cisalpine Republic, then the Italian Republic and the Kingdom of Italy, After the 1805. The remains of the Castle, What remains, emerged thanks to the archaeological excavations at the buildings west of the current parish church, Today reused for oratory. The Church, dedicated to St. Mary of the Nativity, It houses a valuable painting depicting the "Crucifixion", attributed to Francesco Madonnina (1560 – 1591) Sassuolo or Domenico Carnivals (1524 – 1579). Among the historic villas, worthy of mention are Villa Clementina-developing Coal Pit, surrounded by a double garden and the neoclassical Villa Palmieri-Feoli, via Mazzacavallo. Other historic homes of families, remained for moti years, territorial reference on topographic maps. From that farmland has always, you continue, today, the production of some local products internationally: theTraditional balsamic vinegar of Modena, Parmigiano Reggiano, Ham, Lambrusco as well as numerous liqueurs like grappa and nocino. In particular, traditional balsamic vinegar, authentic "black gold", Modena, binds strongly to the history of the territory. The first written documents that talk about it dates back to the year 1000, When Boniface of Canossa (father of Matilda) donated a barrel of balsamic vinegar to the future Emperor Henry II of Franconia. In The 17th Century, When Modena was the capital of the Duchy of Este, the vinegar was offered as a gift to personalities and left as a dowry to the daughters of noble families. Today l’Balsamic Vinegar is undisputed on the tables of gourmets, a legacy that passes from generation to generation, According to tradition, to keep with passion.